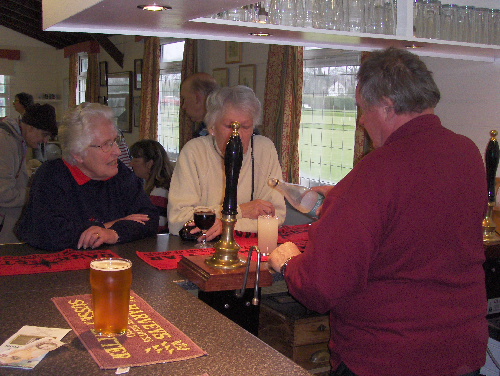 On the Opening Day of the 2010 Season, CA President Quiller Barrett officially opened the newly refurbished clubhouse canteen and bar at Southwick. Before formally cutting the tape, Quiller remembered his first visit to Southwick more than twenty years before, when the club was not in such good state as it is now. He rehearsed some of the developments since then, both in lawn care and innovations like the Croquet Academy, and the support which had been received from the Croquet Association development funds. He praised the club management for the change in culture which had taken place. 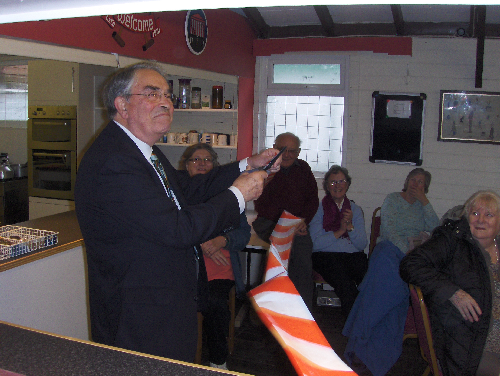 He thanked all those involved in the re-design and refurbishment which would make the clubhouse a much more sociable place in which to meet. Following the ceremony, Quilller was invited to pull the first pint! The driving force behind the work has been David Gaitley (responsible for the club bar) who did the planning and design, drawings and much of the building work. The other main participants were Paul Castell, Jack Davies, John Gosney and Peter Pullin, supported by members of the Winter Working Party including Martin Rogers, Alan Scott and Peter Yates. The Club owes a very large debt of gratitude to all these and others who took part. The purpose of the work on the bar was to create an area where visitors can chat without being in the way at busy times for meals and to make their visit to Southwick more attractive and enjoyable. 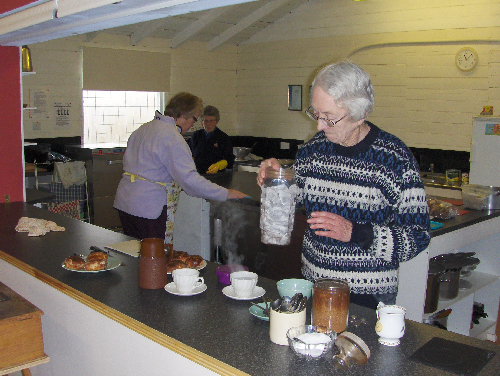 Space was created by moving the servery back and this has allowed new events to take place, like Paul Castell's Skittles Evening (to be repeated, hopefully, later in the year). It will improve serving during meals as the food and drinks queues will be separated and will allow bar staff more room to work effectively - shorter queues during the InterCounties! During major tournaments David is intending to keep two beers on tap. 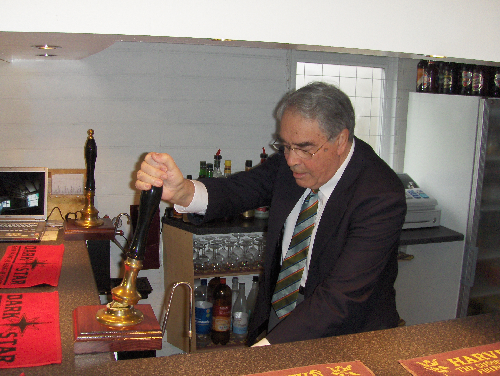 One of the major improvements David made to the club bar when he took over was dramatically to improve the range and quality of beer available on a regular basis. A contract with Dark Star, a local Sussex mini-brewery, provides their excellent Hophead and one other beer on tap. In addition, David has introduced a wide range of bottled speciality beers from around the country. The changes to the bar area include, as well as the two beer taps, a built-in sink and glass washer, so that the bar is entirely self-sufficient and does not interfere with the operation of the kitchen area. The re-furbished kitchen area was designed with help from Jonathan and Chrissy Isaacs and now has a dedicated vegetable preparation sink, new double oven and microwave and a commercial dishwasher. It will be used in earnest at the first tournament in April.